Moscow is in the hands of the Bear. Unleashing undead nightmares and speaking through the mouth of the beautiful priest Konstantine, the Bear twists the fears of the inhabitants of Moscow to manipulate and control the Grand Prince. With this influence he intends to tear down the churches with their bells so the spirits of the old ways can thrive once again. To defeat the Bear, Vasya, witch and cousin to the Grand Prince, must find the Winter King, who is missing. If she can find him, she can stop the Bear, but if she does this, the old ways and beliefs will die by the sounds of the church bells. Is there a way for both sides to exist, the old and the new, or must one side be destroyed completely? 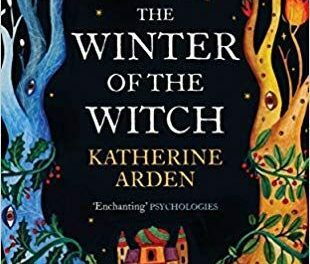 The Winter of the Witch is the final book in Arden’s Winternight series, and it picks up immediately after the second book, The Girl in the Tower, finishes. I have read all three books and found them to be a wonderful blend of historic reality and magical folklore. The story centre on the Petrovna family which straddles both sides of a divide in beliefs; the old way of spirits that protect the home and the Winter King, an ice demon who claims the dead, and the rising Christian faith. Sasha Petrovna, a monk known as Brother Aleksandr, and Vasya Petrovna, his younger sister and a witch. The dynamics of the family drive the plot forward, at the core of their actions is the desire to protect their siblings. 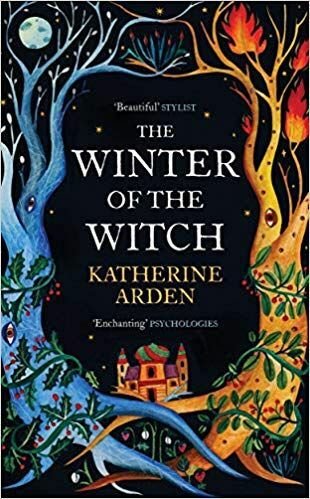 There is a richness to the language and a subtle, sympathetic understanding of traditional Russian folklore than comes from Arden’s time in Moscow where she studied Russian. She plays with our emotions, fearing for the mortals who trapped in a war between ideologies, but also empathising with the spirits who are frightening of fading to nothing. That careful manipulation of my sympathises hooked me from the start, and the fast pace didn’t stop until I reached the end with all the consequences of decisions made played out to their bittersweet and tragic conclusion. From the first page of the Bear and The Nightingale to the last page of The Winter of The Witch, we are taken on a journey of fear and understanding, alliances with enemies, and the highs and lows of sibling relationships, making this a series that I will return to again and again.